A single-tenant property fully occupied by Del Taco in Lake Elsinore traded hands in a recent $3.05 mil deal. Located on just under one-half acre of land at 16810 Lakeshore Dr, the freestanding building has 12.5 years remaining on its 1.6k sf, corporate-guaranteed 15-year absolute NNN lease. 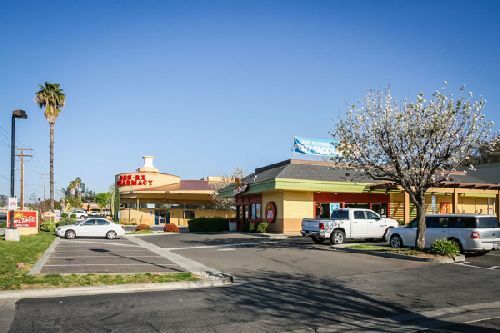 The property sold at a price per square foot of $1,957, which is one of the highest ever for a fast food restaurant property in the Inland Empire, according to CoStar. Situated along Lakeshore Drive, which sees about 19,000 vehicles per day, the Del Taco restaurant is an outparcel to a shopping center anchored by Albertsons and is also adjacent to a shopping center anchored by Stater Bros. Within a five-mile radius of the property, there are more than 70,000 residents with an annual average household income of $72,000. Matthew Mousavi and Patrick Luther with SRS’ National Net Lease Group represented the seller, a partnership specializing in the ownership of net lease property. Chris Itule of Itule Real Estate Group repped the all-cash, SoCal buyer. According to Luther, there was a substantial amount of interest and offers on this asset as its brand, location in a high density area of the Inland Empire and no landlord responsiblities are all factors that net-lease investors are looking for in a single-tenant asset. He noted that they recently traded another Del Taco in SoCal in a deal that had a 3.71% cap rate.